Last year, as the game company Crytek went through near-catastrophic financial struggles, they found help from an unlikely source: the tech giant Amazon. Amazon agreed to a huge licensing deal involving Crytek’s proprietary tech, CryEngine, according to four people familiar with the deal, all of whom spoke anonymously because they were not authorized to speak publicly about this arrangement. 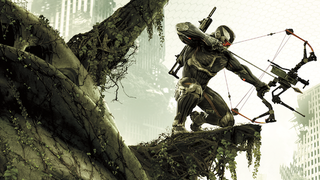 Though I haven’t been able to pin down the exact dollar figure—one source said $50 million; another said 70—sources say it was substantial enough to help Crytek recover from the financial difficulties that kept them from paying some staff for months, as we reported last year. Amazon may have licensed out the engine to use for their games, or, as some sources have suggested, they may be using it as a baseline to build their own proprietary gaming engine. Whatever the specific details here, this is yet another sign that Amazon has big plans in the world of video games. Last year, the tech giant poached Portal lead Kim Swift and Far Cry 2 designer Clint Hocking to work on top-secret projects that still haven’t been announced. Amazon also purchased Double Helix, the development studio behind 2013’s Killer Instinct. In April of 2014 they launched an Android-based gaming and streaming console, the Amazon Fire TV, but it failed to make much of an impact on the video game world, even after they snagged the infamous Flappy Bird as an exclusive. Most industry observers believe Amazon has grander ambitions for gaming. Representatives for Amazon and Crytek did not return requests for comment.